An amazing sketch of Zoe Trent and her sister Gail by the amazingly talented rmsaun98722! There's so cute together! I hope we see more of Gail after Episode 4! Episode 4 airs 11:30am ET / 8:30am PT! 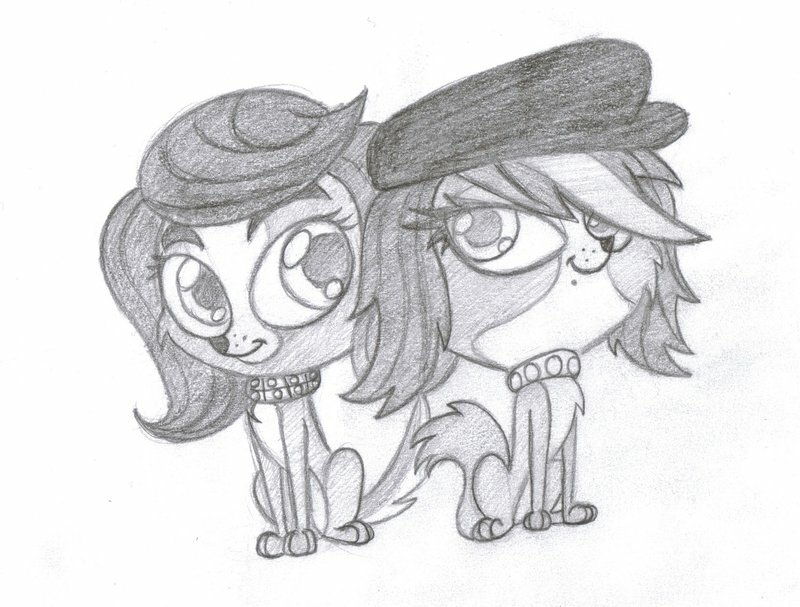 For you bronies, last week's episode of LPS, "Bad Hair Day", will air between the new "My Little Pony" episode at 10:30am ET / 7:30am PT and Episode 4 of LPS. This episode further affirmed my opinion that Sunil is best pet. Need my weekly fix of adorable pets! Also for bronies, this episode was written by Mitch Larson. Anyone know about an image board with LPS content, similar to derpibooru? None yet, You can check Devaintart and Tumblr tags though! Good episode. A heist is a really fun idea and the robot was a nice touch as well. Still no YouTube? Are we waiting for it to be released on iTunes? No one recorded the stream, so yeah, we have to wait for the iTunes rip.It was released this morning on itunes, we should get it soon on youtube too. Yeah, I need this episode's song. Dance like you know you can!